Can I Get Married on a Tourist Visa to a US Citizen? September 3, 2015 by Beeraj Patel, Esq. Are you planning to marry a U.S. national while visiting the United States on a tourist visa? Learn here how to avoid a charge of visa fraud.Foreign tourists frequently want to know if they may legally marry an American citizen while on a tourist visa. Provided the newcomer returns to their native country before their tourist visa expires, the answer is yes. If, on the other hand, a visitor from a foreign country enters the United States on a tourist visa intending to marry a U.S. national and remain in the country, then the answer is no. If you plan to visit the United States on a tourist visa with the intention of getting married and applying afterward for an adjustment of immigration status later might seem like a reasonable way of sidestepping complicated paperwork. This approach is fraught with pitfalls and we do not recommend it. At the very least, you could find yourself having to return to your native country and starting the immigration process all over again. At worst, you could find yourself banned forever from entering the United States. Read here about the consequences of marrying a U.S. national while on a tourist visa and discover alternative ways of tying the knot without risking a charge of visa fraud. Occasionally, people do get married in the United States while on a tourist visa. They successfully adjust their status to permanent resident without having to return home. How does this happen? The trick to changing status from a tourist visa or visa waiver is to prove that there was no premeditated intention to get married, but it was a spontaneous decision. Convincing the immigration officials that the marriage was not intentional and persuading them to allow a change of status is difficult, but not impossible. Entering the United States for the purpose of finding a spouse and then filing for a change of status is visa fraud. Immigration officers frown on this and can seriously complicate your honeymoon plans. 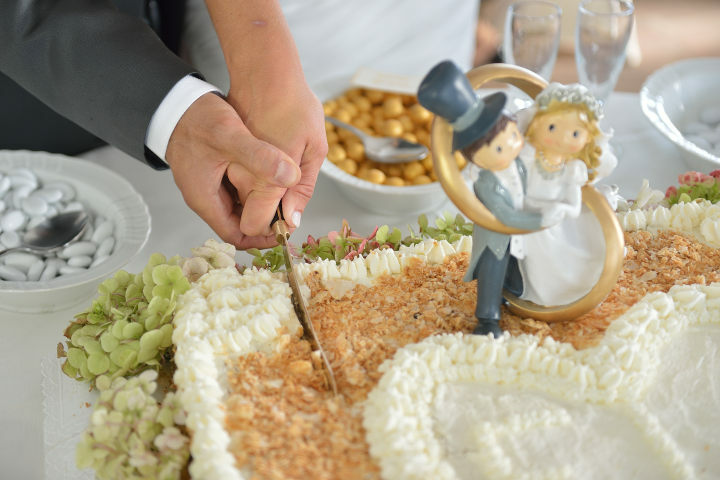 Success or failure in changing your immigration status depends on your being able to demonstrate that you entered into the nuptial union in good faith, and not just for the immigration benefits. If the officer detects otherwise, he will deny your application and send you back home to your native country. Most practitioners generally advise people not to tie the knot immediately after landing on American soil, but to wait until you have spent a reasonable amount of time in the country on your tourist visa. Waiting for at least two months may improve your chances of securing the desired adjustment to your immigration status. The 30/60 Day Rule is an informal, unofficial, unwritten method that consular officers use to help them determine the odds that an individual has committed fraud. You, too, can use it to help improve your chances of changing your immigration status. Applying for a change of status or getting married based on a status adjustment is very risky within 60 days of landing in the U.S. It is even riskier after only 30 days. This is why we recommend waiting to get married. Both the Department of State and United States Customs and Immigration Service (USCIS) use the 30/60 rule. The thing is, once they decide someone is guilty of visa fraud, they can become permanently disqualified from even entering the United States, never mind receiving immigration benefits. Make sure you thoroughly familiarize yourself with the 30/60 Day Rule before you marry or seek a status adjustment. • Your application will be successful and you will get your status adjustment. • The immigration officer will decide you had preconceived intent and deny the application. In this case, he will repatriate you to your native country. Denial of status adjustment does not mean that an individual may not return to their home country and apply for an immigrant visa through the U.S. consulate there. The United States government is not in the business of micromanaging peoples’ love lives. Say you are in the country on a tourist visa. You later get married and apply for an adjustment of status. You will be unable to leave the U.S. until you receive your green card, or you ask for and receive advance parole. If you do leave the country, the immigration officer on a subsequent visit to the United States will prevent you from re-entering the country. If this happens, you and your spouse will have to begin a new immigration process by petitioning for a spouse visa for yourself. During this process, you will have to stay in your home country. As you enter the United States, Customs and Border Protection (CPP) inspection officers will ask you to declare your reason for traveling to the U.S. This is a routine question that they ask everybody. Before you blurt out you are going sightseeing, be aware that they may search your luggage. If they find a pile of wedding invitations, you are going to have to answer some embarrassing questions. If you fail to convince the officer that you intend to leave the country before your visa expires, he may very well put you on the next plane home. The more documentation you have to back up your story, the more likely you will get through Border Control. Do Not Attempt Visa Fraud! Do not think for a moment that you will be able to fool the Immigration officers. Not only are they trained to spot visa fraud, but they have also probably heard a story very similar to yours many times before. Violate America’s strict immigration laws and you face charges of visa fraud. At the very least, you will be sent straight back to your home country. At worst, you may be barred from ever returning to the United States. We strongly recommend that you take time to ponder the consequences of getting married on a tourist visa in the United States before you take the plunge. Take a close look at all the legitimate options, such as obtaining a spouse or fiancé visa, to avoid having to face the legal ramifications. The immigration attorneys at Pride Immigration Law Firm PLLC have the experience to help you manage your entire case and get the best possible outcome. We can offer you an initial consultation at our offices or over the telephone. To set up a consultation or just talk about your case, call our office or send us an online message. We look forward to assisting you!